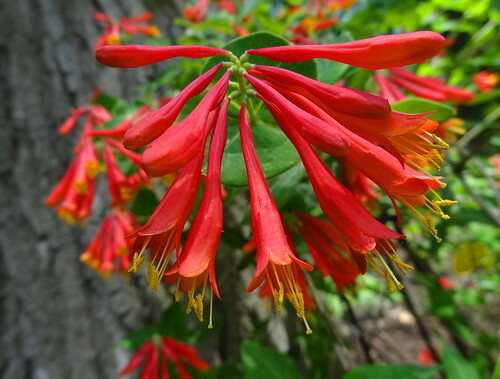 We begin in a lush, secluded neighborhood just outside of downtown; mature trees, rolling hills, and unique architecture make this a lovely place to call home. Our first stop is a multi-level home tucked into a hilltop, the current owners purchased the home in 2009 from a Dallas Cowboy football player. 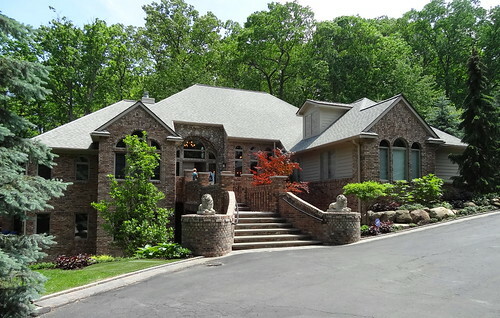 The front of the home has a grand stairway flanked by concrete lions that leads to the main entry door. I can tell you the interior is gorgeous; the fireplace in the great room is amazing. We walk through all of the rooms feeling like we’re in an episode on HGTV. This home has two basement levels both with access to the outdoors; patios, a stunning pool, waterfall, fantastic landscape and a putting green! The home next door is also on tour, we take the pathway the neighbors put in specifically to get to each others houses. This family bought their quaint, storybook-looking house sight-unseen in 2011. The interior looks like it should be in a magazine. 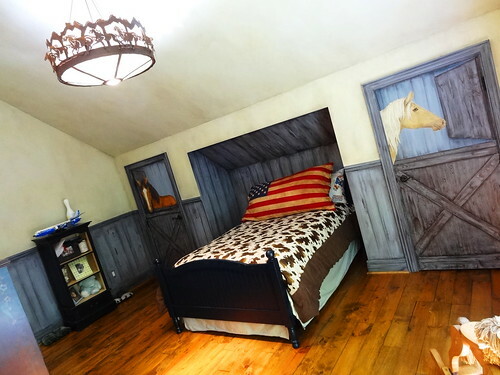 The room that stands out the most (to us) is the boy’s bedroom; custom painted and decorated to look like a stable there are even two horses that share the room! The basement is pretty fabulous too, old barn wood imported from Bois Blanc Island adorns the ceilings, picture frames and other details. 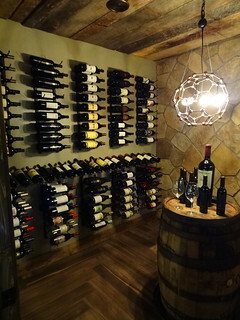 They have a custom bar, wine cellar, cigar room. 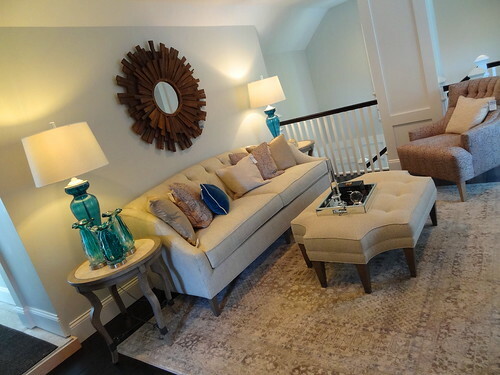 Stone columns, cool light fixtures, cozy seating areas make this one great place to hang out. The yard is pretty sensational too; pretty gardens, a waterfall and a huge brick fireplace. The family is moving back to California, so if you’re in the market for a house, check this one out. 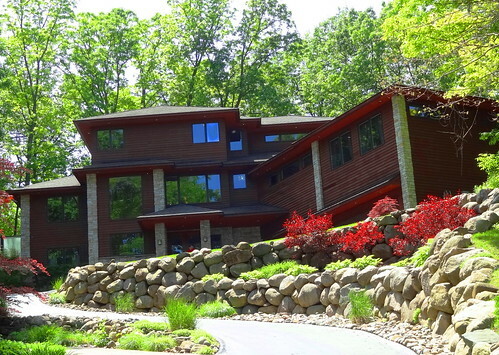 A distinctly modern, 3-story, wood and stone home rests high on a hill at the end of the street. We climb the (extremely) steep driveway, which, by the way, is heated so they can actually drive up it in the winter, to get to the front doors. You enter on the lower level, one short flight of stairs takes us to the main floor. This house is very different from its neighbors; very contemporary, lots of glass, magnificent views and a pretty snazzy theatre room. There are two decks in the back yard each with its own fire pit. This is the home this Clarkston couple has always dreamed of. Back on Main Street we are touring the Dubeck Home, a large white Colonial-style home with dark green shutters. This home was originally owned by JR Vilet who sold it to Edwin Jefferson in 1896, it became a duplex in the 1920’s and in the 1980’s it was converted back to a single family home. The current owners have lived here since 2011. There’s a big, open kitchen and dining room, the substantial back porch is perfect for entertaining. 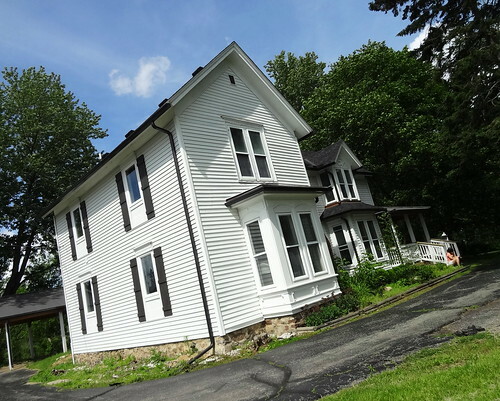 The last home on the tour is over on Clarkston Rd, built in 1864 it sits on two acres of land. 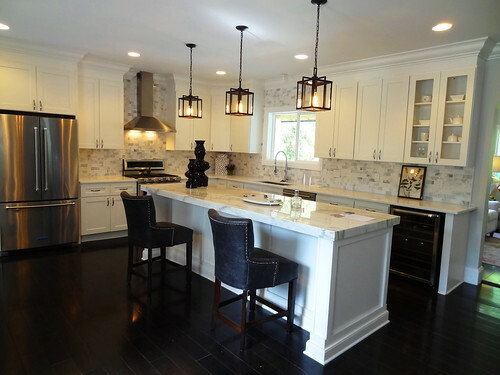 The current owner has completely rebuilt the house opening up the floor plan, installing new electrical, plumbing, roof–you name it, he’s done it. Today the house is staged to attract potential buyers, Harrison’s of downtown Clarkston did a great job. 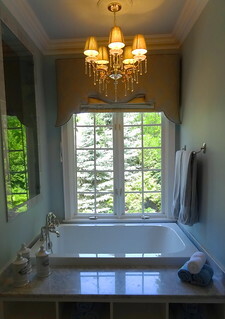 The rooms are all white and grey with dark floors, appliances are all high-end, I love the white marble counter tops. Anybody looking for a beautifully renovated farm-house? It’s time to eat. Clarkston has become a bit of a foodie paradise, Union Joints now has 3 restaurants in town: Clarkston Union Bar and Kitchen, Union Woodshop and their newest venture Honcho, which is where we’re going. 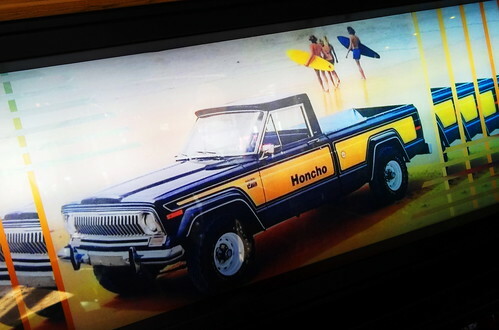 Housed in a former gas station and adjoining car dealership, Honcho serves up Latin street food with a twist. 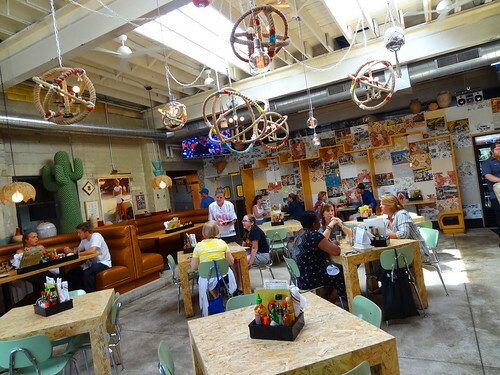 The decor is a blend of Southwest meets industrial mingling with mid-century modern, it’s pretty great. We’re sitting in the coffee shop area surrounded by roll-up doors and patio seating. We start out with the Chop salad: romaine, quinoa, black beans, grilled red onions, radish, avocado, tomatoes, sweet corn, carrot and spiced pumpkin seeds tossed in a delightful cilantro-lime vinaigrette, perfect on a hot day like today. 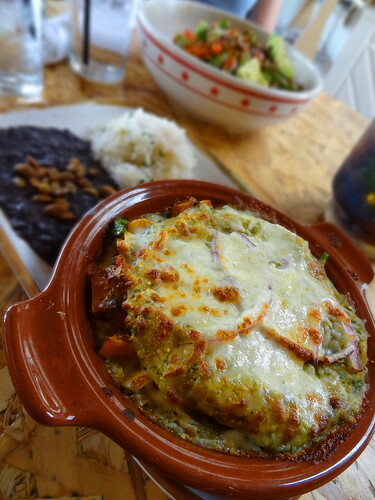 The Sweet Potato Enchilada Pie is roasted sweet potatoes, onion and poblano peppers layered between house-made tortillas topped with a cheese blend and salsa verde, very tasty; it comes with a side of Jasmine rice and miso black beans. The menu has a great mix of flavors. Looks like Union Joints has another hit on their hands! It’s a beautiful day for a drive in the country. Kris takes curvy scenic roads until we end up on Rose Center Road in Highland Twp. Back in the 1830’s the Doty family ran a farm that spanned about 300 acres here. 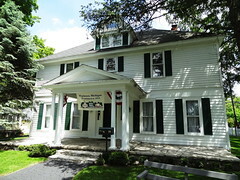 Sometime around 1970 Susan Briggs Fisher bought the property. Susan has some pretty famous last names, her father was Walter O Briggs, the guy who owned the Detroit Tigers and Briggs Stadium, he made his fortune as the largest automobile body manufacturer in the country back in the day. Susan married into the Fisher family, it does seem like a natural fit right? 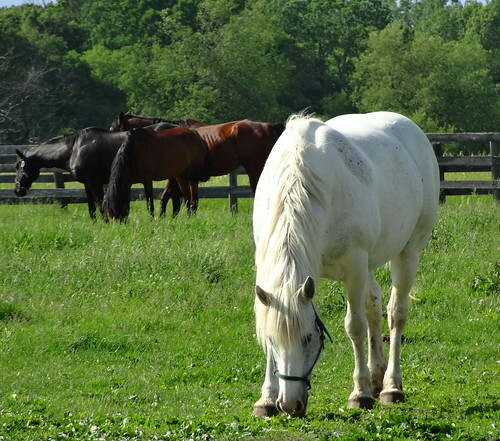 In 1993 Bob Hoffman purchased the farm from the Fisher family, it is now the largest equestrian facility in Oakland County offering large indoor and outdoor arenas, stabling in multiple barns, large pastures and hunter jumper riding lessons. 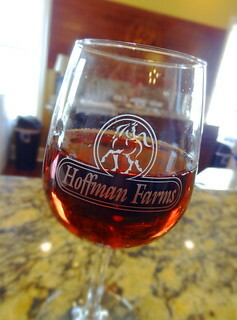 Most importantly (to us) it is also home to Hoffman Farms Winery and Tasting Room. 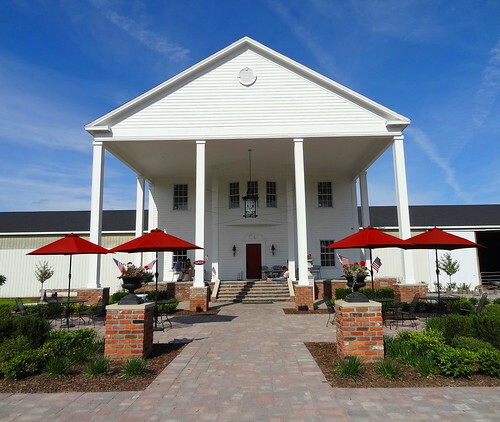 Hoffman Farms winery opened quietly to the public in October of 2016. The large white building with grand portico is surrounded by pastoral farmland, it puts me in the mind of Kentucky. Umbrella’d tables rest on a recently laid patio, the landscaping went in just in time for the June grand opening. 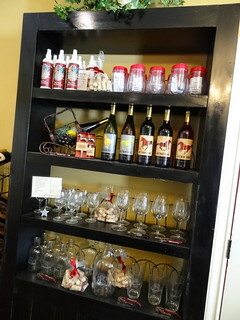 The tasting room is attached to the front of the indoor riding arena, a large window allows you to sip your wine or hard cider while watching riders work out their horses. The wine is produced in northern Michigan from Michigan-grown grapes, currently they have 6 varieties; Rose Center Cherry is our favorite. We are sitting at the bar having easy conversation with Bob, his daughter and fellow wine-drinkers. The vibe is always laid-back and friendly. 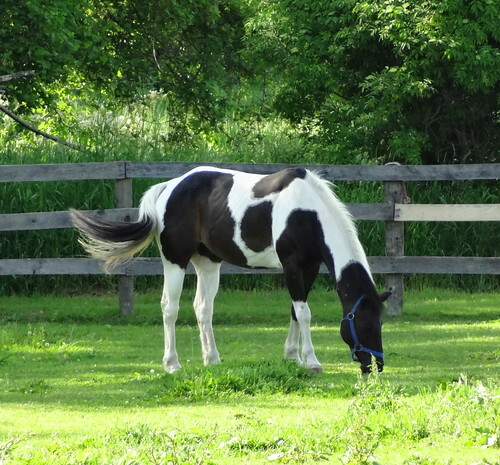 When our glasses are empty we take a leisurely drive on the narrow dirt road that runs through the property; horses are eating freshly delivered hay and grass as the breeze rustles their tails. 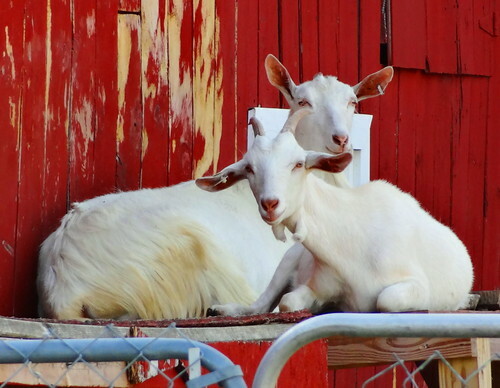 Goats mill around in their pen, one pair sits up high soaking in the sunshine, black and white cows lazily roam about, one is taking a nap. 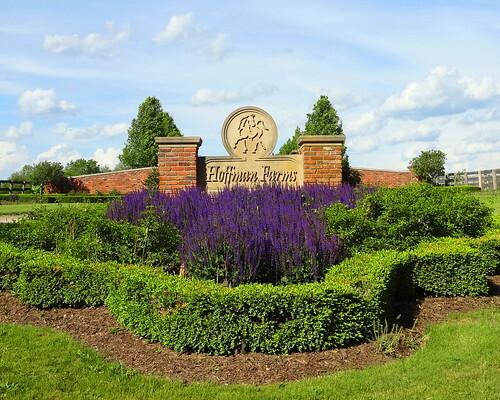 Hoffman Farms is the perfect place to relax, unwind, de-stress; from the picturesque farm to the wine and hard cider, you’ll be glad you came.